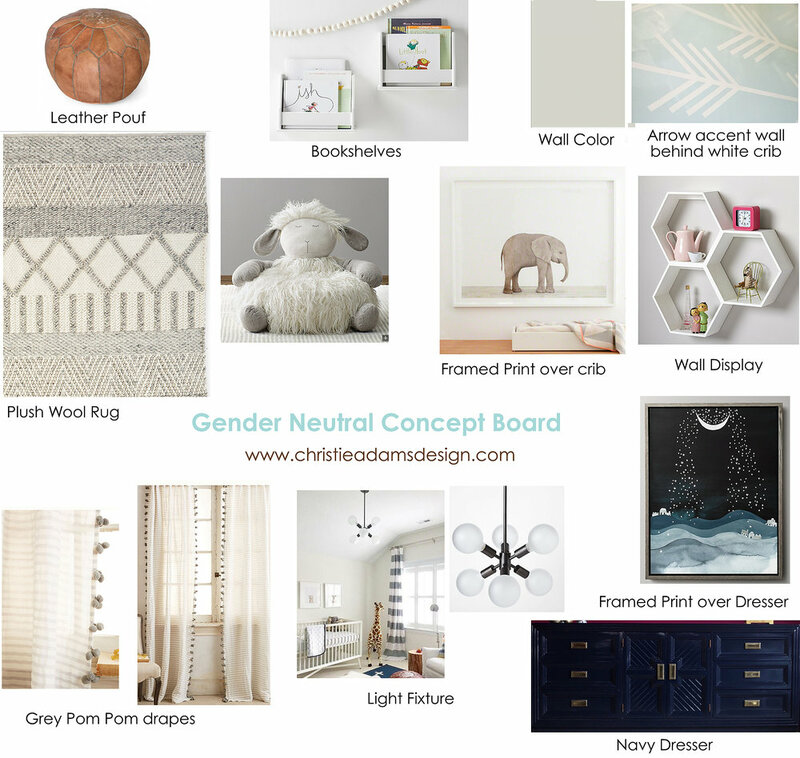 I loved designing this gender neutral baby nursery for my Bergen County client! I can't wait for all of these goodies to arrive at her home so that I can see the design come to life! It's going to be so fun to share before and after photos so here is a little preview. We went back and forth on wallpaper for an accent wall behind the crib but in the end decided on painted arrows instead. Then I selected lots of soft neutral tones, with a bit of whimsy with the pom pom details in the drapes. And the navy dresser will really coordinate perfectly with the leather pouf and framed print. The baby will have lots of books on display in the cute white bookshelves and the hexagon cubes are a fun way to display little treasures too. Do you need help with creating a nursery for your baby or even your older child? I'm about to design a room for a high school student this summer who is ready to ditch her kid furniture! I would love the opportunity to be your interior designer; whether you live in northern NJ or further away we can work remotely.